Hey what’s going on everyone? It’s Yet Another Tech Show. 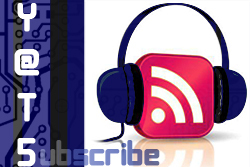 Your weekly podcast of tech evangelists bringing you informative and entertaining tech discussions. I’m Ant Pruitt. This week Mike Rothman, Mat Lee and myself are joined by a few guests. Shane Brady from Attack of the Androids and aNewDomain joins us as well as Chris Miller from TheSocialNetworker and aNewDomain. Larry Press was unable to join us tonight. Be sure you check out our hyperlinked profiles and follow us in social media. Let’s get into episode 25. It’s YATS! Welcome to Yet Another Tech Show everyone. We have another great show this week and a full house on the panel. 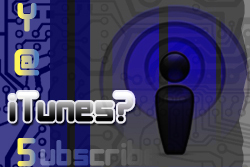 The YATS crew is on board as usual, but we’re also joined by Isaac Kendall and Shane Brady from aNewDomain.net. And by the way, I’m Ant Pruitt. Myself, Mat Lee, Larry Press, Mike Rothman and our guests take a dive into the hottest tech news of the week which happened to be featured in a keynote at San Francisco. Let’s get into it. . . .